VPN benefits that you never thought you could count on. 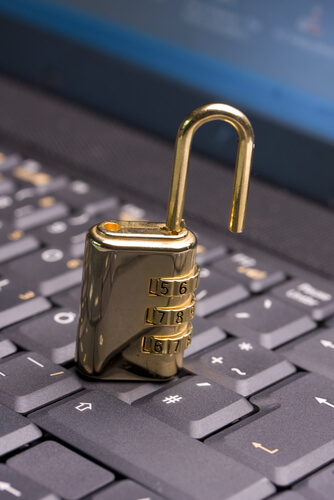 Time and time again, the internet has told you that a good VPN service is such a robust and powerful tool that it can do much more than just guard your online security and privacy. 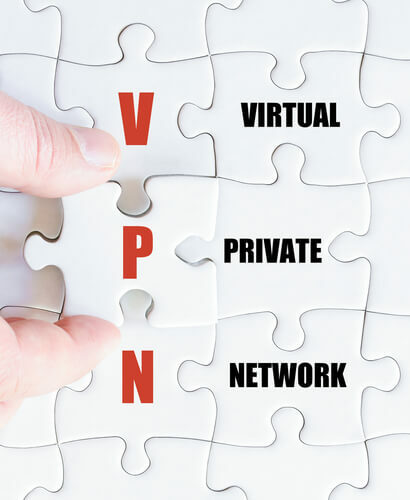 However, we are here to talk about some of the benefits that do not get much media attention when it comes to VPN services. This is the guide for VPN tips that you need to read right now. For many years now, we are working at Security Gladiators to spend the bulk of our time just enumerating all the benefits of a VPN. There are hundreds of reasons why one would want to make use of a VPN service. 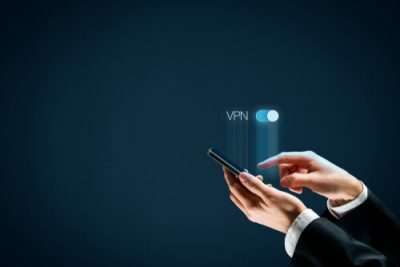 But despite the fact that the benefits of a VPN are many and perhaps even manifold, they generally tend to boil down to simply privacy and protection. The primary job of any given VPN service is to protect online consumers and their data from spies, advertisers, and crooks. However, Now that you have managed to sign up for a VPN service, how do you know the list of things it can do apart from gaining security and privacy. Gentle reader, you need to settle in so that we are able to go deeper and reveal some lesser known things that your VPN service can do for you right now. Perhaps this is the only benefit that we think may not be lesser known. But you can indeed use a VPN service to circumvent various content blocks. A VPN doesn’t just protect all of your web traffic from crooks, spies, and advertisers. Our research shows that this is perhaps the second most common use of any given VPN service. Of course, a lot depends on where you reside currently. If you happen to live in a certain country or a region Netflix may just block you and your machine from watching various types of TV shows. However, if you connect to a good VPN service provider in some other country other than your current one, you may be able to unblock all those TV shows in order to view them and take pleasure from them as well. Our research shows that NordVPN is currently the best VPN for this job. You can click here if you want to purchase NordVPN right now and that too from the official website at a reasonable discount. There are many charts on the internet showing you the best VPN that you need to sign up for in order to access Netflix in various other regions and countries from the United States of America. But we tend to stick with lists. Perhaps the only VPN service that works with Canada Netflix if you are in the US. It also works to unblock UK Netflix if you are in the US. Moreover, it can unblock Australia Netflix from the US as well. What it can’t do is unblock Japan Netflix from the US. These are the most important examples that you need to know about. Does allow access to UK and Canada Netflix from the US but does not work with Japan or Australia Netflix if you are in the US. TunnelBear VPN does not work with any Netflix from the US. No Japan Netflix. No Australia Netflix and certainly no UK and Canada Netflix. This VPN service provider works with UK Netflix from the US. But it does not work with Canada, Japan, and Australia Netflix. This one works with UK Netflix from the US but does not work with either Canadian Netflix or Japan Netflix. However, it does work with Australia Netflix. TorGuard VPN does not work with any kind of Netflix. So if you happen to have signed up for TorGuard then do not expect to access services such as Canada Netflix, UK Netflix, Japan Netflix and/or Australia Netflix from the US. Express VPN can unblock Canada Netflix and UK Netflix from the US. However, it too does not work with either Japan Netflix or Australia Netflix from the US. This VPN service does not work either any of the four (Canada, Japan, Australia, UK) Netflix editions that we have mentioned so far. This service only works with UK Netflix from the US and does not work with Japan, Australia and Canada Netflix from the US. WIndscribe is able to unblock UK and Australia Netflix from the US. It does not work with Japan or Canada Netflix. ProtonVPN is a VPN service that does not work with Australia, Japan, UK and Canada Netflix from the US. The simple thing you need to understand here is that there is no single best VPN for each and every edition of Netflix. The NordVPN service that we have mentioned above is the best VPN for US Netflix. Though we should add that it is perhaps the most complete VPN service when it comes to unblocking streaming sites. Of course, there might be some other VPN service you might want to sign up for if you want to stream Netflix while you are connected to a VPN server that is located in the US. That is another topic and hence for another day. The issue of streaming sites and VPN service is a bit slippery. We mean that it is clear to us that it is not piracy. Our understanding is that it is more of an issue of bad streaming rights contracts. However, we won’t deny that to some it may seem a pretty similar argument to the one that online pirates make. Now, of course, you could be one of those online consumers who just want to travel abroad for some work or vacation but also does not want to be shut out of all of your preferred movies and TV shows for the simple reason that you are in a different location for a short period of time. That problem, to some at least if not the majority of the online community, seems like a legitimate one and perhaps where using a VPN service to unblock content is not blameworthy in any way. Of course, we are assuming here that the content that you want to unblock and watch is actually the one that you have already paid to see beforehand. We also will not deny that this issue is more or less complicated regardless of which point of view you subscribe to. Hence, there is always room for improvement and change. That is why if you read the terms of service document you will find that it essentially makes it clear in no uncertain terms that the user only will have access to the content that he/she has subscribed for in the region where the user actually established his/or account. Because of this policy, Netflix actually works very hard in order to make sure it blocks all types of VPN access. Netflix will sometimes not even work for you if you connect to a given VPN server that is located within your country of origin. And because the situation is not only complex it is also strange, VPN services are not giving up either. Consequently, we have this cat and mouse game where Netflix keeps blocking VPN services and VPN services keep evolving to unblock US Netflix and others from any location on earth. It also means that a VPN service that works with Netflix today may or may not work with US Netflix tomorrow. Now, we are aware of the fact that the majority of our talk in this guide has touched only Netflix. But you should know that it is not the only service that blocks any type of streaming for those people who are making use of a VPN service. Even if you are trying to access other streaming services such as Nordic Netflix, Sling, Hulu or BBC iPlayer you will still come across the same roadblocks. There are those times when whatever it is that you want to consume is unavailable in your region or online not because of unchecked capitalism or licensing agreements. In such instances, the reasons why someone would block some content on the internet may do so only because of political reasons. And the best and most notorious known example of such kind of internet censorship is without a doubt the thing we have come to know as the Great Firewall of China. China is fast becoming a power rivaling the United States in every field. More prominently in fields such as AI and quantum technology. This advanced-technology mindset is what has allowed China to come up with a firewall that is able to significantly restrict the type of content the country’s citizens can read, see or say in the online world. We’re not saying that is necessarily a bad thing because you also have give weight to those actors that are trying to corrupt the Chinese society with their own ideology of how one should live life. But what we are saying is that if you are traveling to China but still want to access the open internet you may have no other choice but to make use of a VPN service. 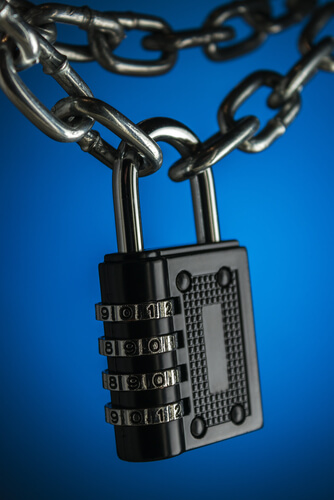 A VPN service has the ability to help users in all types of circumstances. If you sign up for a good VPN for China, that VPN would have no problems in forming a tunnel right through a given restrictive country to one of its own VPN servers that is located in a less restrictive country. Because of this, you will have the opportunity to subvert all types of local censorship measures. We are aware of the fact that even if such a measure fails to provide the required performance, a VPN service would still not face any problems in providing protection against the country’s own oppressive policies. In other words, if you happen to live in a country that has internet restrictions and you decide to connect, via a VPN service, to a VPN server that is located within the borders of that country, then there is a high chance of you accessing restricted content. But even if you do not, then you will at least have some modicum of online protection against domestic surveillance programs. Some review sites and other cybersecurity related firms are very quick to name a specific VPN service that they think would work the best in a given country to circumvent government censorship. But the truth is, there is no one single best VPN in the world for every task. In fact, we do not think that there is a VPN service on this earth which would work for each and every person that purchases its subscription package and turns it on. VPN services are mostly used to access information in an unfettered way. Some use VPN services in order to exercise their right of self-expression in the online world without having to think about hard repercussions. Therefore, it is highly irresponsible for anyone to suggest one good VPN service for every task without taking into account the consequences for the user if the choice is wrong. The stakes are even higher for people working in countries with repressive internet policies. Hence, it is vital for you, the reader, to know exactly why you want to use a VPN service and then make the decision of going with a specific VPN service. Each person has his/her own tastes in almost each and everything. And if you are ever going to make any friends then you will have to learn about those tastes and preferences. For example, your friend could simply love to watch football online. Or soccer in the US. The problem is that most soccer/football fans have strong opinions about how a specific country covers a specific sport. Some believe that the coverage that football/soccer gets in the US is terrible on a good day. So if you are one of those users or your friend is one of those users then you no longer have to suffer commentators who would have been better off talking about basketball rather than football/soccer. The other problem with soccer coverage in the US is that a handful of channels have purchased rights to broadcast it. And these handful of channels have a limited supply of people who can talk about football or commentate on a given game. Therefore, the best way to move forward in such a case is to sign up for a good VPN service and then watch coverage from a different country. There is no hiding the fact that Europe has far more talent on the field and off the field when it comes to football and hence the channels there are able to provide users with more in-depth coverage of whatever soccer match it is. Moreover, they have far more knowledgeable people commentating on a given soccer game. Now, you should take note that if you make use of a VPN service to watch soccer from someplace else then you may run into those broadcasting companies that have made it a mission of their to block their users’ access to such channels. But they do not block you because you are trying to access another channel in another region. They do so because you are making use of a VPN service. Hence you need to fiddle around a little bit trying out different VPN servers and VPN app settings in order to successfully tunnel your way into a given broadcasting channel. Moreover, making use of a VPN service for better commentary would also mean that sometimes you will definitely have to forego watching various live events on your TV. One of the reasons why we say that is because Chromecast does not work properly with any given VPN service consistently enough. Of course, if you are a big enough soccer buff then you would not mind missing the odd event once or twice just to make sure that you get the best coverage possible. The other thing we want to mention here is that if you are living in a country that is not your native country then you might as well just hear the commentary on your favorite sport in your own mother language or even your own accent which is native to you. Moreover, you may also want the commentary on your game to come from those centers which are based in your country or at least centers that have athletes and experts from the same country as you. You will always run into those situations where your VPN service will just refuse to work properly for any random amount of time. It just won’t do what you want it to do. You will have to deal with exactly zero of your pages loading on time. Not only that, your VPN service may also hang your downloads. It may not even unblock any site that you might want to visit. Trust us when we say that these situations or some combination of these situations are not unheard of. And they have the potential of being very frustrating. In such situations, your best move is to simply switch your VPN service off for a moment. There is nothing wrong in doing that. But then when you try to switch it on again you should switch the servers first. Remember, among many other features for which you pay a given VPN service your hard-earned money is the number of VPN servers on offer. Hence, take advantage of your subscription package and try to have access to all the servers that you have the option of connecting to. VPN services provide you with so many servers precisely because they want to better cover various areas around the world for the user. However, a lot of users simply stick to two or three of their favorite servers. That is a problem because if those servers do not work then you completely forget to find another server which might just solve your problem when things finally take the turn for the worst. In fact, as we have mentioned time and time again on this site, you need to make sure that during your VPN research you pay proper attention to the number of VPN servers that are on offer and the locations of those VPN servers. There is nothing inherently wrong with switching a VPN app off and then on again. Doing that alone forces the given VPN app to reconnect to the given server. Sometimes the VPN app itself would connect to a different VPN server. However, some VPN apps do not do that. In those apps, you will have to connect to a different VPN server manually. So instead of getting frustrated and possibly canceling your subscription package, perhaps it is better for you to just try another VPN server that is located in your area or someplace close. Check if that helps your cause. Of course, if nothing else works then you could try and switch of the VPN app and use the internet without any protection for a while before the VPN app in question gets its bearings right. Remember, there is nothing wrong with carrying out normal tasks without the help of a VPN service.